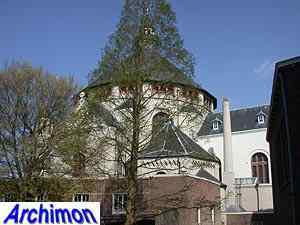 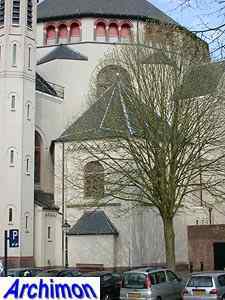 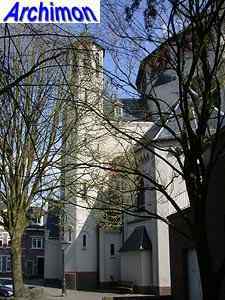 The history of this church goes back to the 16th century, when the church of the Kruisherenklooster, the monastery of the Crosiers, was built on this location. 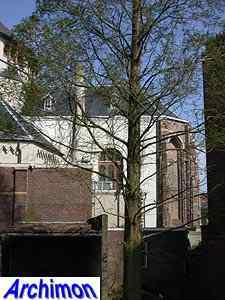 Of this church only the closure of the choir, built in 1533, which rests on a bridge-like construction, and the 17th-century sacristy remain. 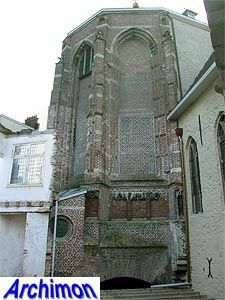 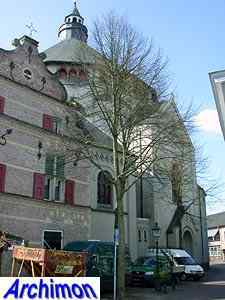 The original church became protestant after the capture of the city in 1629. 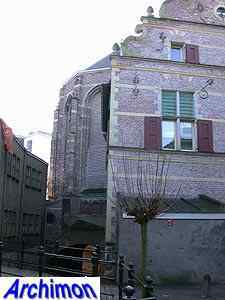 In 1810 the building returned in catholic hands, but in a very bad state. 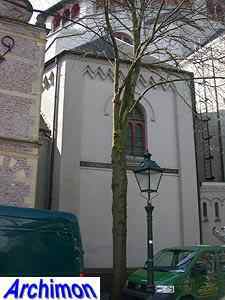 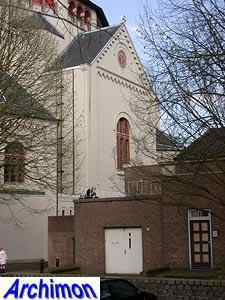 After it was demoilished, of course except for that piece of the choir, a new church was built in 1844, designed by J. de Kroon. 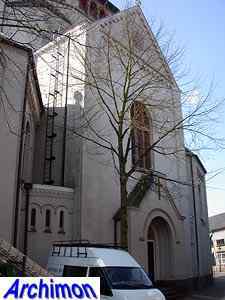 This church didn't last for long. 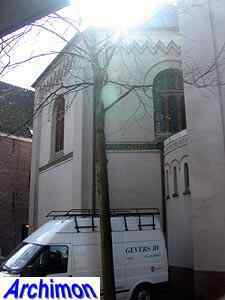 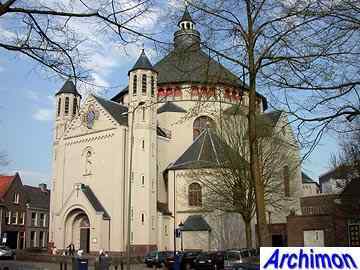 In 1915 it was demolished and in 1916-1917 the current church was built, designed by architect Jan Stuyt. 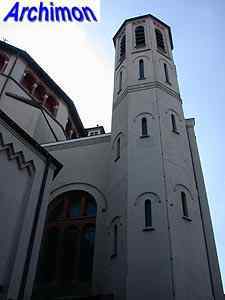 The design was inspired by the Byzantine and Romanesque architecture the architect had seen during a pilgrimage to Palestine, when especially the Hagia Sophia in Constantinople had made a big impression on him. 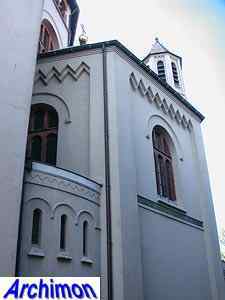 Central part of the building is a 16-sided dome on an octagonal base. 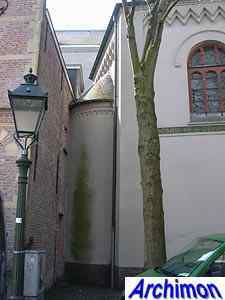 This was one of the first reinforced concrete constructions in The Netherlands. 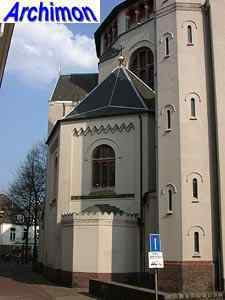 Two stair-turrets flank the front. 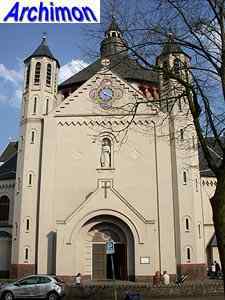 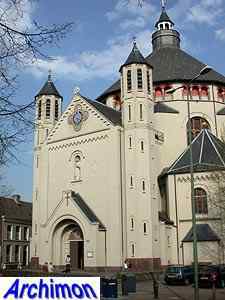 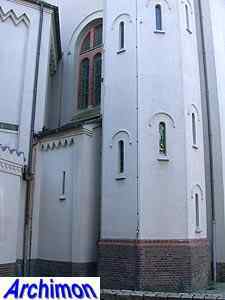 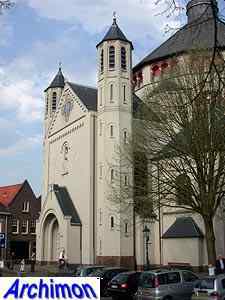 Despite its appearance the St. Catharina isn't a true centralizing church as it has a conventional choir.